Longtime local landlord LaVern Rippley, Professor of German at St. Olaf, is evidently opening an office at 1300 Bollenbacher Drive, an office building that he owns just south of the ice arena. 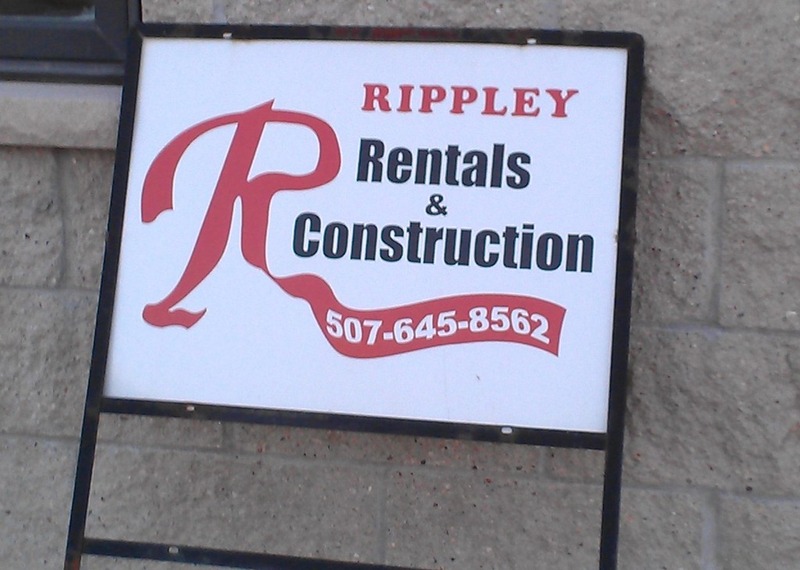 He’s calling it Rippley Rentals and Construction. No blog or Facebook page yet. Heh. 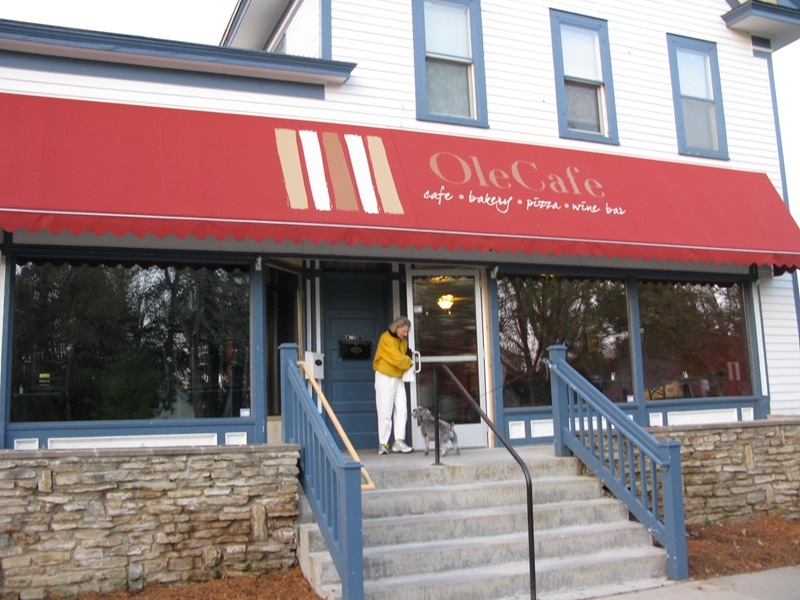 The Ole Café closed on Feb. 20, the same day southern MN got hit with a big snowstorm. 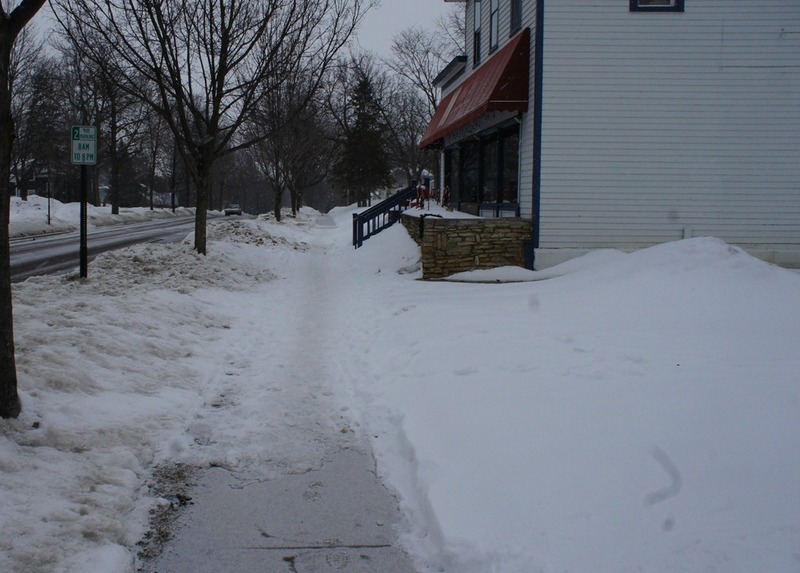 I noticed yesterday that the sidewalk in front of the store has not yet been shoveled. Believe it or not, LaVerne Rippley owns the building. By city ordinance (Ch. 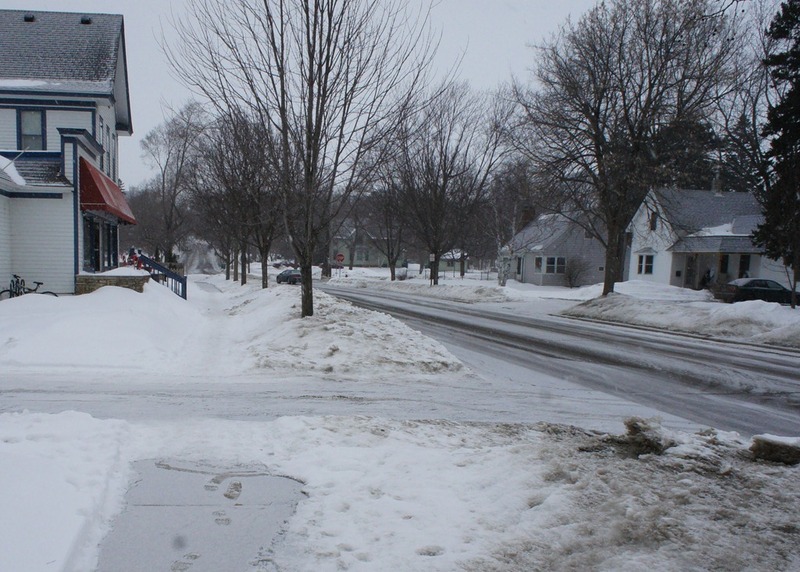 70 Article I, §70-2) property owners are responsible for removing snow and ice from the sidewalks adjacent to their property within 12 hours after snow or ice precipitation has stopped. 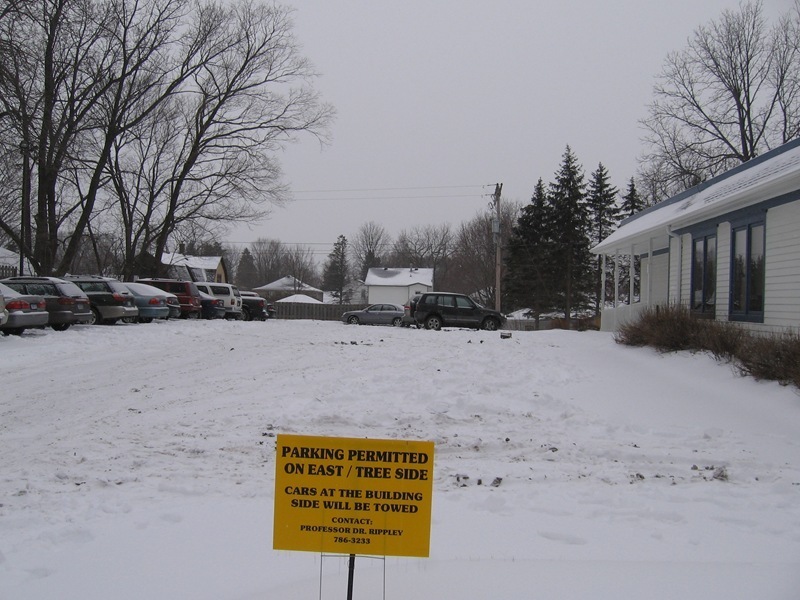 If snow and ice are not removed, it may be removed by authorized city personnel, and the costs for snow removal will be assessed against the property. Residents may report uncleared sidewalks to the Public Works office (contact information listed on the right side of this page). I guess I’ll have to tattle on LaVerne to TJ so something can be done before next week’s big snowstorm hits. 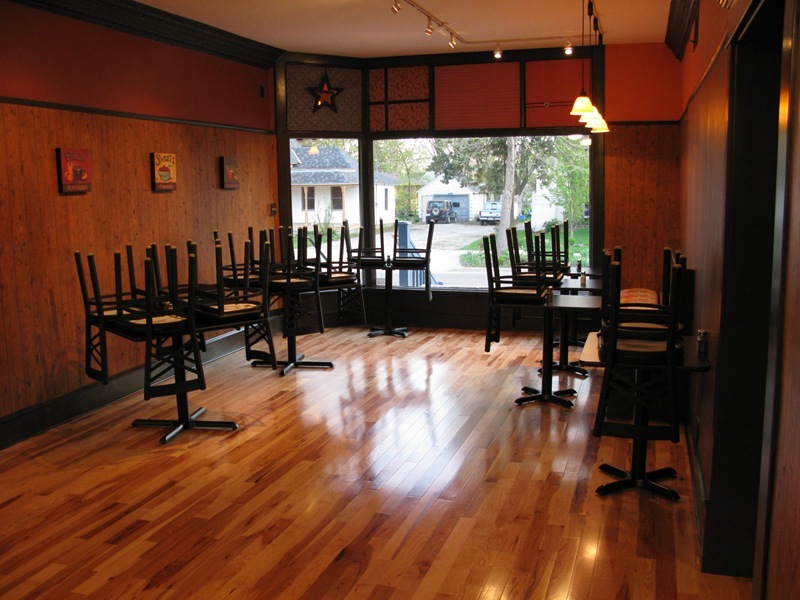 The Ole Store has reopened as the Ole Cafe. 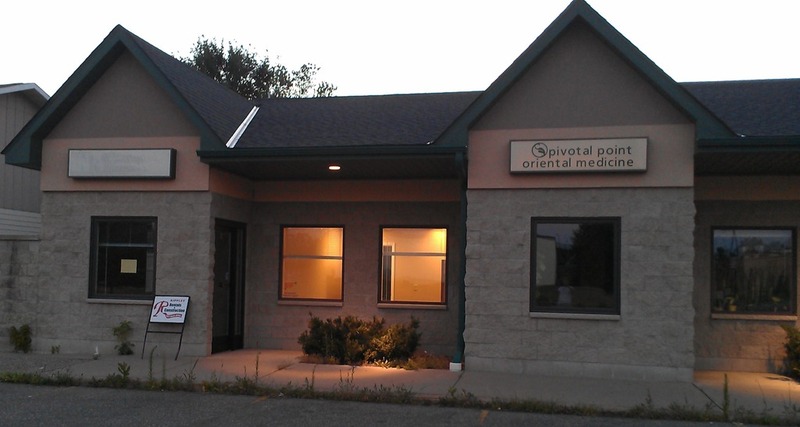 I stopped by early Thursday morning, its second day of operation. 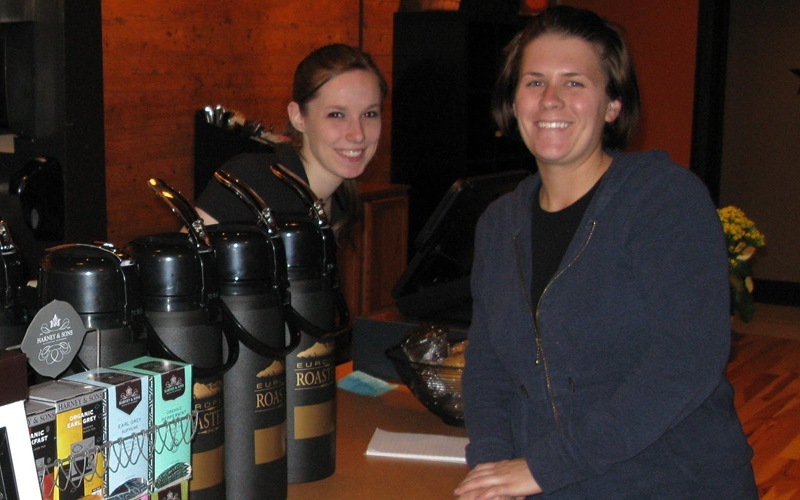 Their coffeehouse opens at 5:30 am on weekdays, which I think is the earliest of any in Northfield. Owner Angie Perez was there (left photo, on the right) whipping things/staff into shape. 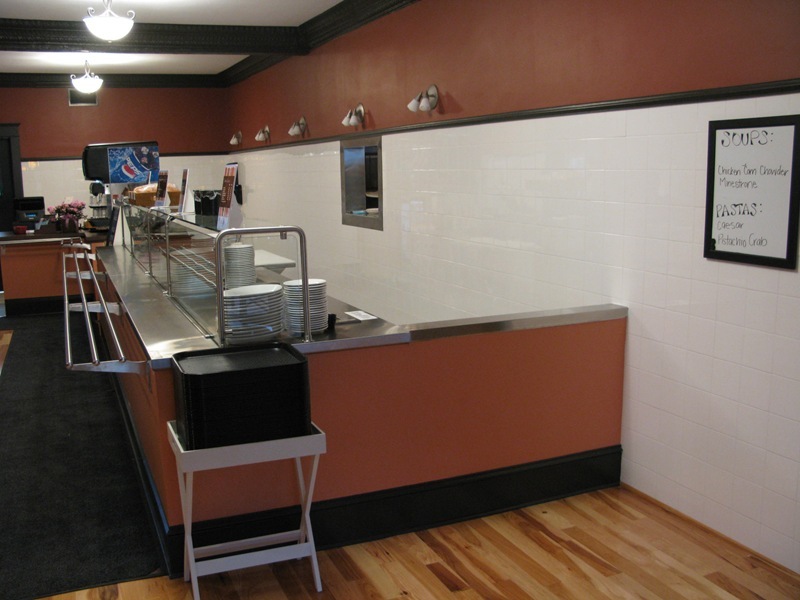 A cafeteria style eatery that offers a wide variety of soups, salads, build-your-own sandwiches, panninis, and during dinner hours – build-you-own-pasta bar. 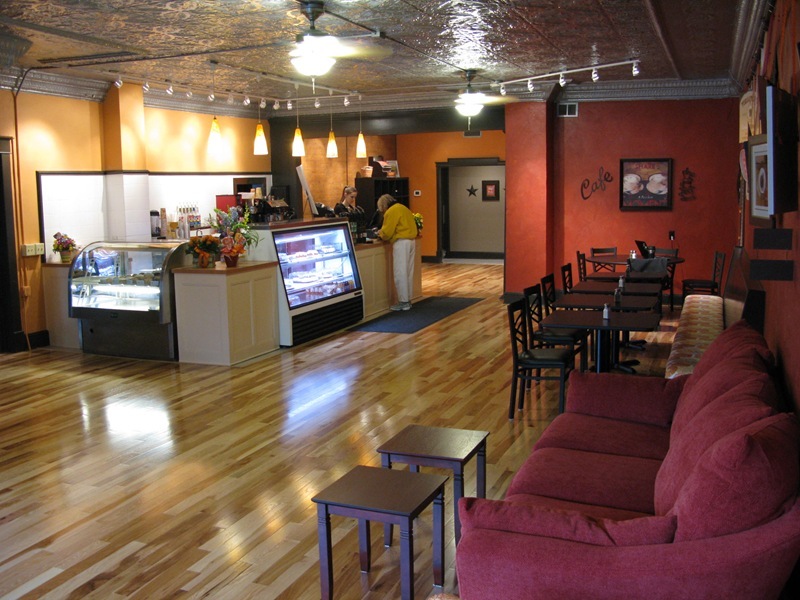 A retail bakery that offers a wide range of cakes, cheesecakes, cupcakes, cookies, bars and breakfast pastries. 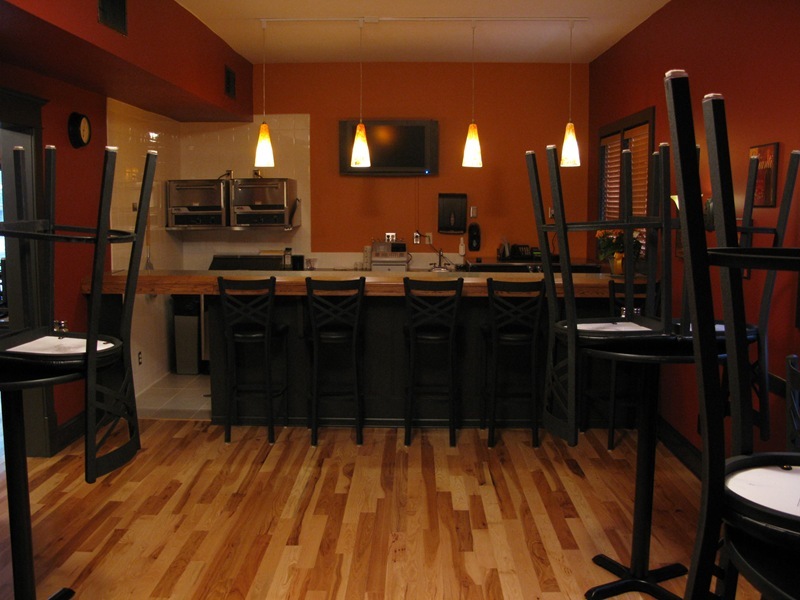 A pizza bar that offers a selection of freshly baked pizzas and a fine menu of beer and wine. 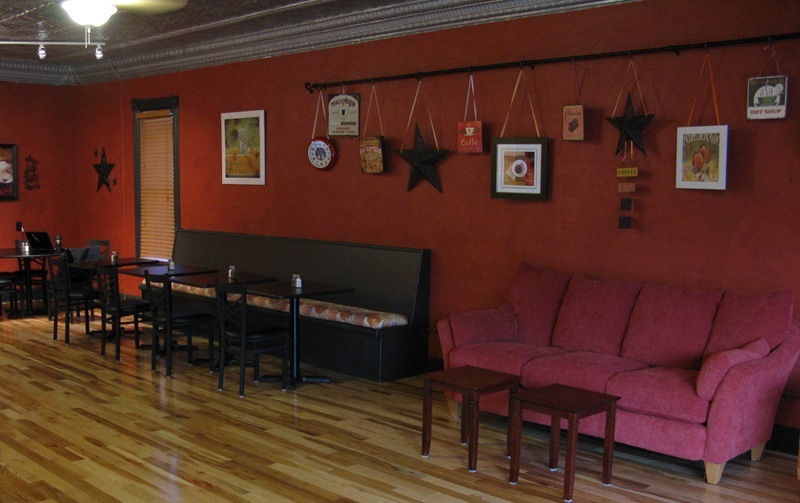 Finally, a coffee shop that offers a large selection of espresso drinks, blended coffee drinks and fresh brewed coffee that will start anyone’s day off right. I noticed that the stage is gone from the coffeehouse, so they evidently don’t plan to offer live music. 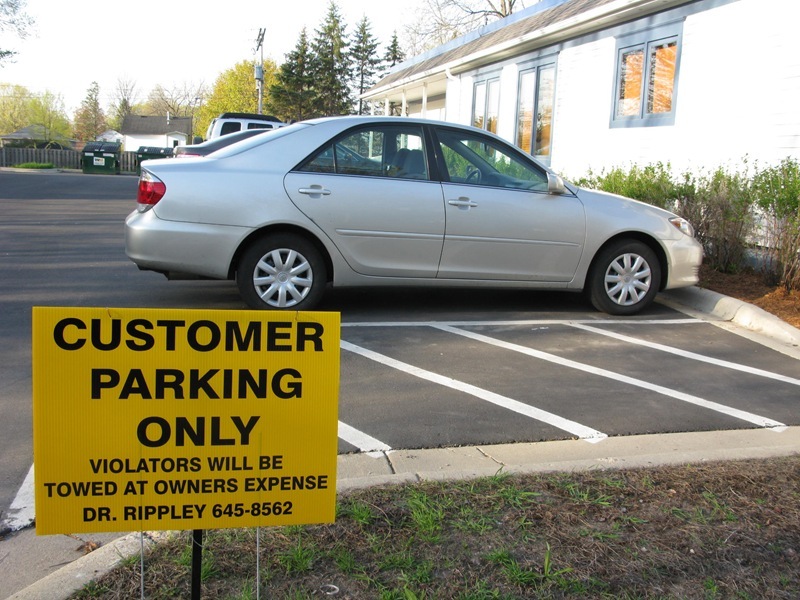 Landlord and St. Olaf German professor LaVerne Rippley has changed the parking sign at the entrance to the lot (left photo from December), prompting the grammar police in the St. Olaf English Department to file a formal protest. 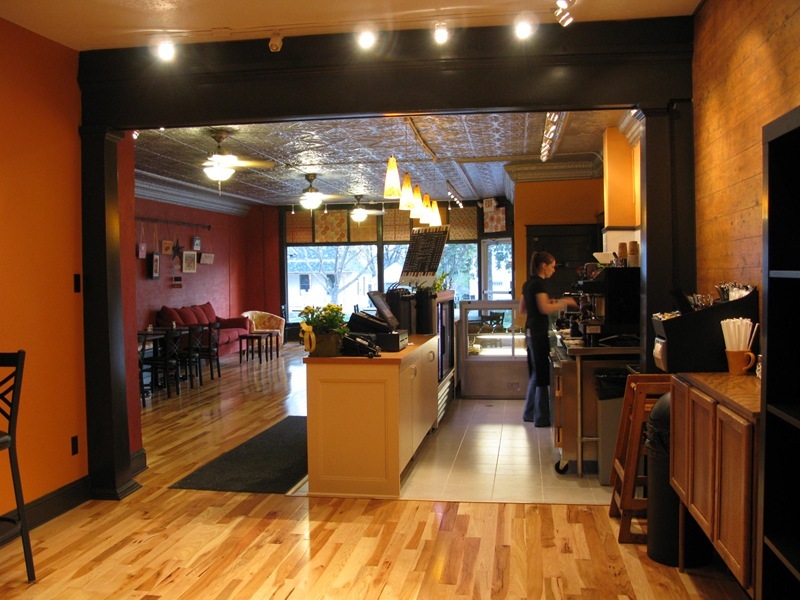 Jane McWilliams has blogged her breakfast experience there on Northfield.org. Unfortunately, the Northfield.org aggregator won’t be able to do its thing either on their blogosphere page nor in the homepage right sidebar box for local businesses because the attractively-designed website (right image above) doesn’t have an RSS feed.